This past weekend marked the 80th anniversary of Kristallnacht, the night of broken glass. On Kristallnacht, on November 9, 1938, a pogrom against the Jewish community was carried out by the Nazi’s paramilitary forces. By the next day, over a hundred Jews were murdered, and 30,000 Jewish men were arrested or sent to concentration camps. Jewish schools and hospitals were looted. Jewish buildings were demolished. 267 synagogues in Germany and Austria were destroyed. And over 7,000 Jewish businesses were destroyed or damaged. Store windows were shattered. Torah Scrolls were set on fire. These events seem so far removed from our minds. And yet, they are so close. Historians look at Kristallnacht as a wake-up call, an alarm that was set off. November 9, 1938. But Kristallnacht was already after the Nuremberg Laws were passed in 1935 that sought to limit the freedom of Jewish citizens and exclude them from civil society. Historians identify the beginning of the Holocaust as 1941 – that is when Jews were marched into the gas chambers and Nazis put their plan of mass extermination of the Jewish people into play. But 1941 was three years after Kristallnacht, six years after the Nuremberg Laws were passed, and eight years after Hitler’s democratically elected rise to power. I can’t help but ask, after each of these events, why didn’t the Jewish community all leave then, even if some tried to? Why didn’t more people stand up and fight back, even if some tried, most notably the Warsaw Ghetto Uprising? Why didn’t the non-Jewish community do more to help the Jews, even if so many risked their own lives to save Jewish lives? Why didn’t other nations intervene sooner? The Anti-Defamation League said that there was a 57% increase in Anti-Semitism from 2016-2017. We know what that can lead to; we experienced are own modern-day Kristallnact of sorts as we mourned with our brother and sisters in Pittsburgh two weeks ago, two Shabbatot ago. In France, the French Prime Minister’s office announced that Anti-Semitic incidents have increased by 69%. And here, we see laws passed to limit one’s rights based on their identities, be in gender identity, or country of origin, or immigration status. So we are left in the same exact situation. Last week we showed up for Shabbat in solidarity with the Tree of Life Synagogue. What do we do this week? Next week? Next month? After that? And we must call out not just those who act with such hate, but those who fan the flames of hate; we must call out those who are just as responsible for those evil acts, not just the physically perpetrators of such acts, but also those whose policies were put in place, whose political promises, stoked the flames of this fire. When we call out hate, it is easy to blame one person. No one is more to blame than those that committed such acts of hate and violence. Yet, there are so many responsible. And those with the biggest megaphones and soapboxes, rightly deserve such blame. But they are not alone in that blame. Those who are behind the scenes, encouraging the actions of those whose voices are heard are just as responsible. And those who remain silent, when such acts of evil don’t directly affect them – or directly affect us – are to blame as well. I often would wonder why more wasn’t done following Kristallnacht, why those in position of power who could’ve stopped the eventuality of the Holocaust didn’t stand up to Hitler and the Nazi party. I often wonder why more people didn’t see the signs and become fearfully aware of where they would lead. Let’s open our eyes and see the signs. This isn’t about politics or partisan issues. This isn’t about Republicans or Democrats. This isn’t about Red America or Blue America. This is about what hateful words of people in positions of power, who demonize minority groups, can lead to. The Holocaust happened eight years after Hitler rose to power. Let us all see the scary signs – the rise in hate crimes, in hateful acts, and in hateful rhetoric – and stand up to it now, before it is too late. Because when we say never again, we mean never again. And when we say never again, we don’t just mean never again for the Jewish people; we mean never again will we allow this to happen to anyone. Shana Tova! For those who are interested, here are the sermons I shared with the Congregation Beth El community during Rosh Hashanah 5778. The first deals with my own personal struggle as a parent having a child in the hospital and understanding our liturgy so that we don’t necessarily change our fates, but change our perspectives. The second deals with the rise of hate and anti-Semitism in this country and ponders what our responsibility as Jews and as humanity is to fight back against such hate. My children came home from school so excited to tell me everything they learned about Thanksgiving. My daughter who is in kindergarten had to decorate a feather. Every student in her class that would then added to her “class turkey.” My son who is still in preschool was amazed that he could trace his hand and it would look like the shape of a turkey. He was excited to “teach” me that Thanksgiving was about being thankful. In preparation for the holiday, I asked him what he was thankful for and he responded with a list: my house, the playground, my family, and my toys. I am just happy that family made the cut, even if we are seen as less important than the playground in his eyes. The more my children listed all that they are thankful for, the more grateful they became for the blessings in their lives. However, I also realized what a selfish exercise this was. Giving thanks is an important part of our daily ritual as Jews. We begin each morning with the Birkot HaShachar, the morning blessings, in which we thank God for the everyday miracles of our lives. Even the Amidah prayer, recited three times daily, consists of Hodaot, daily prayers of Thanksgiving. Yet, as my children listed what they were thankful for, I realized that they – like all of us – were only thinking of themselves. I am grateful for the roof over my head, the food on my table, my family and friends, the blessings that benefit me exclusively in my life. We should always be grateful for the blessings in our lives, but I realized that by teaching my children to me thankful, I was also teaching them to exclusively think of themselves. Abraham continues to negotiate with God, attempting to convince God to spare the lives of those who have done wrong because of those who are righteous in their midst. Early on in his relationship with the divine, Abraham is willing to stand up to God to fight for the rights of others, even if it doesn’t directly benefit himself. God commands Abraham to sacrifice his son and he agrees. While the rabbinic commentator Rashi suggests that Abraham tried to negotiate with God again, the simple reading of the text suggests that Abraham didn’t flinch. He woke up the next day prepared to kill his son and almost did so, until an angel intervened at the last minute. How is it possible that the patriarch who went out of his way to welcome strangers into his home, who fought with God to spare the lives of strangers, didn’t stand up to save his own son? We are not taught to always walk in the ways of our biblical ancestors. Rather we are taught to learn from their actions. We naturally live lives in which our first inclination is to think of ourselves and no one else. Our understand of the id of our psyche leads us to conclude that this is our animal instinct. Abraham does the complete opposite. But this too is incorrect. By standing up for others but refusing to stand up to save his son, he also fails God’s test. Our initial instincts lead us to the most extreme position of only thinking about ourselves and Abraham lives a life on the opposite extreme where he only thinks about others. The lessons of the Torah guide our lives and teach us that we must find the proper balance. We must equally care about ourselves and others. Hillel’s famous teaching reminds us: “If I am not for myself, who will be for me?” but also, “If I am only for myself, what am I?” Hillel teaches these two lessons simultaneously. One cannot only think of oneself and not of others. But one cannot only care about others and neglect his or her own needs. There must be a balance. Last Thursday, I attended the Anti-Defamation League’s “Never is Now” Summit on Anti-Semitism, Bigotry, and Hate. The ADL was founded over a hundred years ago to combat Anti-Semitism in this country. As the organization evolved, the ADL realized that we have a responsibility to stand up to all forms of bigotry. As its website says, the “ADL fights anti-Semitism and all forms of bigotry, defends democratic ideals and protects civil rights for all.” So, the daylong conference I attended had a session on the rise of Anti-Semitism and Violent Threats to Jewish Life in Europe and a session on Race, Identity, and Racial Justice. We listened to representatives from Twitter and journalists about the concerning use of social media by the Alt-Right to “troll” Jewish users and make online threats to Jewish journalists and we heard from Muslim leaders about the frightening rise of Islamophobia in this country. The promise of “Never Again” by the Jewish community is a promise to stand up to bigotry towards the Jewish community, but also to all forms of bigotry in which any minority is scapegoated. The leadership of the ADL and its CEO Jonathan Greenblatt remind us that our obligation is to protect ourselves and others. If we are not for ourselves, who will be? But if we are only for ourselves, what are we? 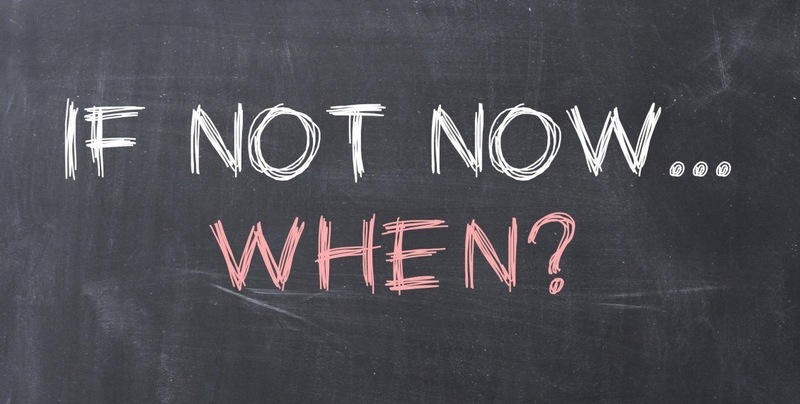 Hillel concludes his famous teaching with the most important question: “If not now, when?” Now is the time because it is always the time to stand up for what is right. Now is the time to stand up to protect ourselves. Now is the time to stand up to protect others. Now is the time to find the balance, to learn from Abraham’s actions, and our own, to stand up for ourselves and others. This Thanksgiving, as we reflect on what we are thankful for, may we not just commit to protecting the blessings in our lives. May we ensure the blessings in the lives of others as well.